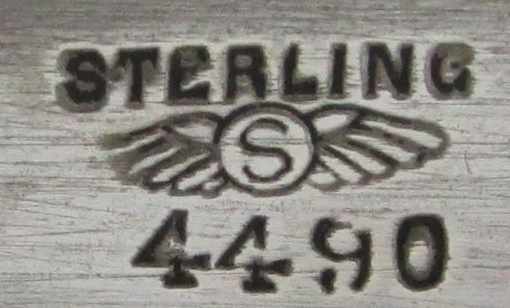 ...I am having trouble finding any information on a piece of sterling (?) 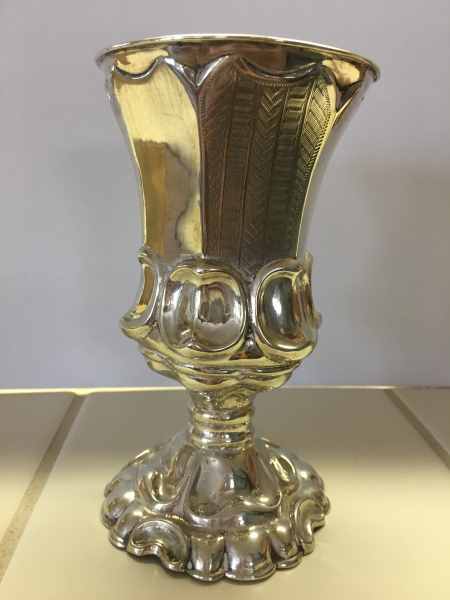 silver marked STUMPF. It belonged to a Jewish family that emigrated to central Kansas. 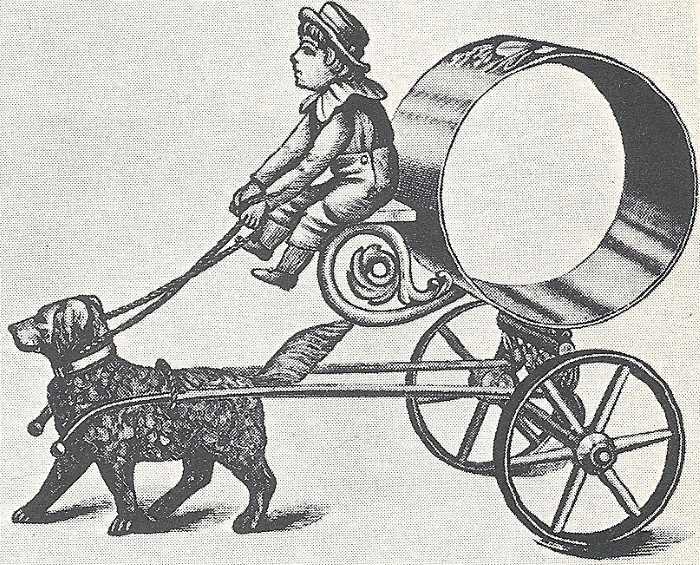 Pre or post war unknown. 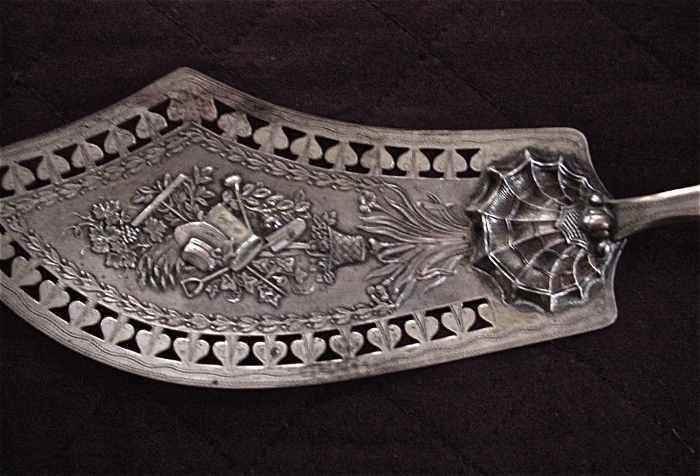 It appears to be a cake knife/server and is EXTREMELY ornate. 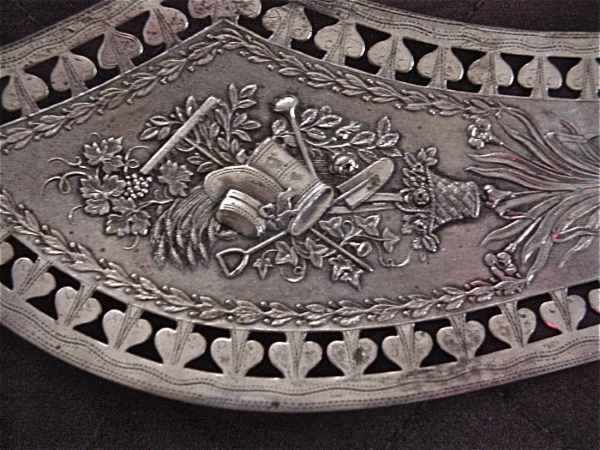 It bears two hallmark stamps. 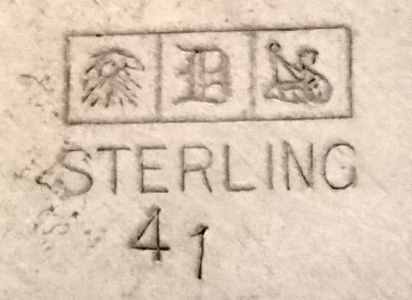 The first consists of three symbols in relief. The first two symbols suggest either "Iron cross" or "maltese cross". 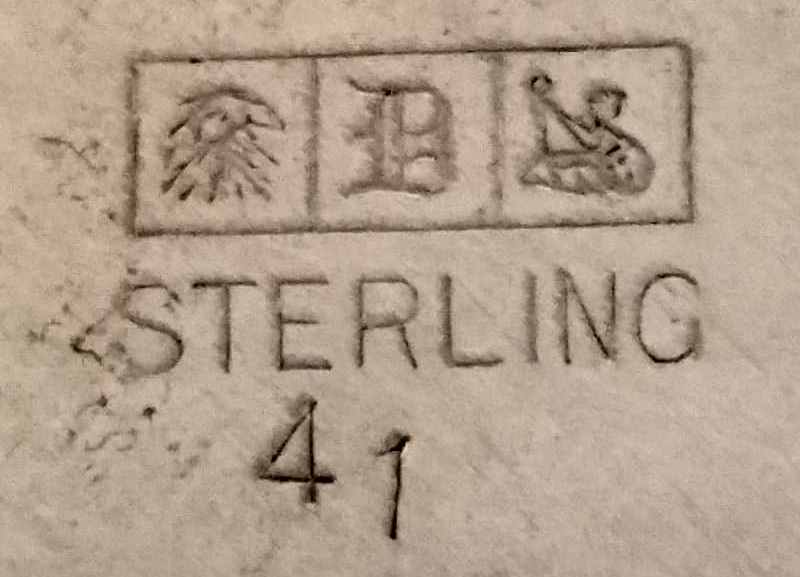 The third symbol is not recognizable (to me). 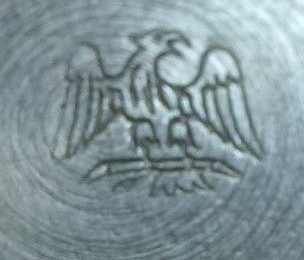 The second hallmark, also in relief is "W. "
...I'm trying to identify who is the silversmith of this old Viennese cup. 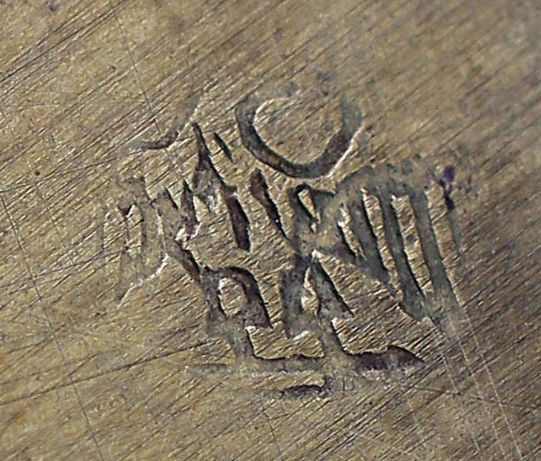 The mark is A.E or A.L. 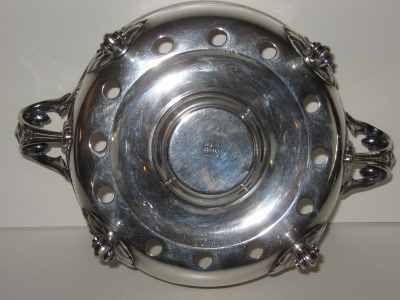 ...I have a Christofle silver plate chafing dish/bowl or hot plate that I would like to find out more about. The bowl has number 950333 on it as well as a 3 and a 2 in squares indicating the silver plate thickness; the top plate has number 1462455 on it. Both the top plate and the bowl have the Christofle marks and name on them. 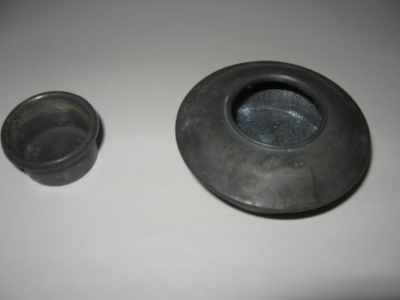 The top plate measures 9.5" wide and the bowl w/top plate is 4" high. 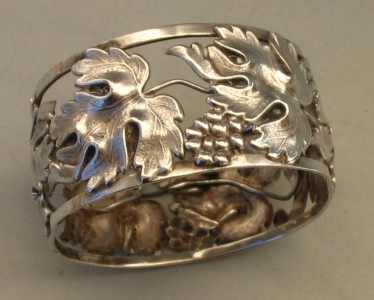 Have included some pics but was not able to get a good picture of the numbers or Christofle mark. From the numbers the top plate is from Jan 1890 and the dish/bowl from July 1879 according to the ASCAS website. 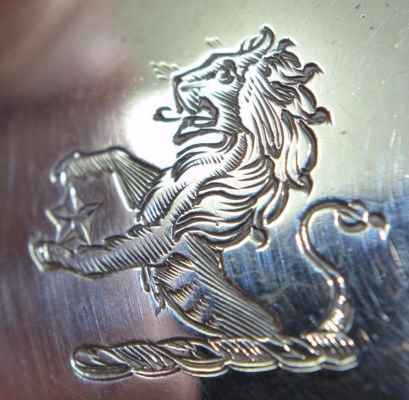 How rare is the item and what is the gold looking metal that is under or over the silver plate on the side of the bowl around the monogram? 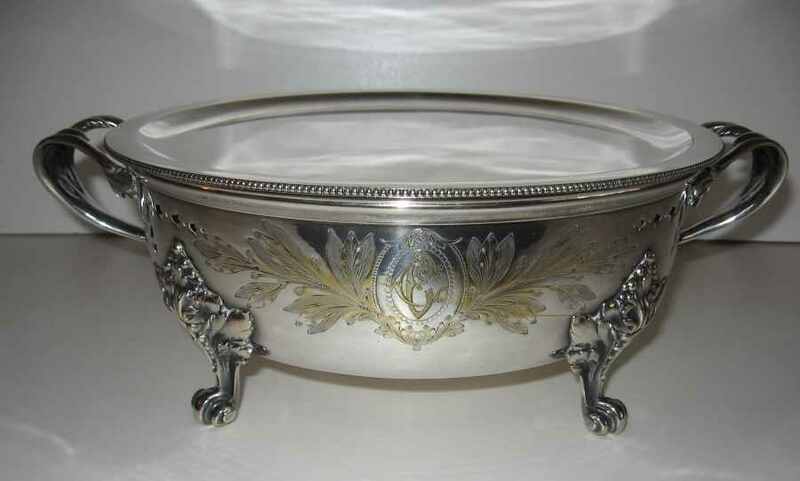 Is that really a monogram on the side of the bowl and if so what are the letters? 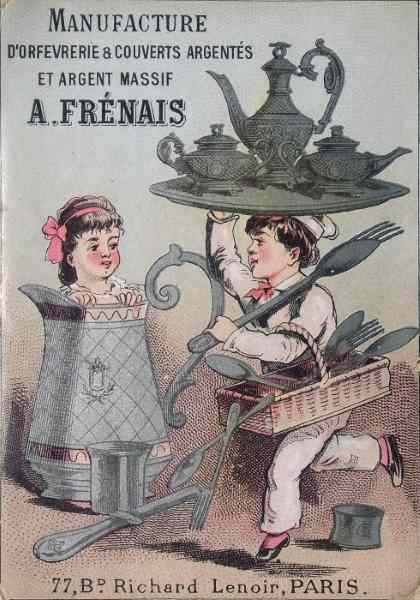 The item belonged to my wife's great grandmother who lived in Paris in the late 1800's. 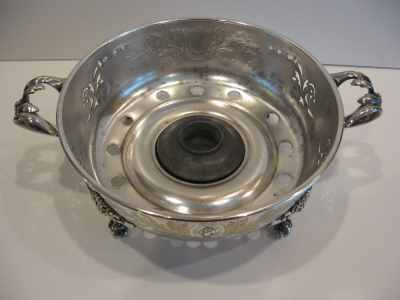 Cannot find any other chafing dish like it after an extensive search so any additional info would be greatly appreciated. ...I am an avid visitor of your site and it has helped me extensively through the years. 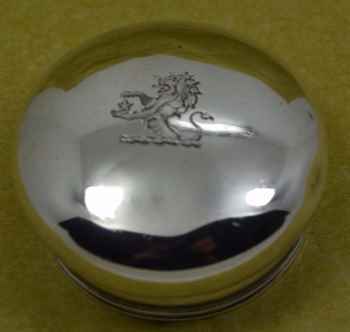 I do ask if you can help with identifying a set of hallmarks which have me stumped. If you can help in any way I would greatly appreciate any assistance. 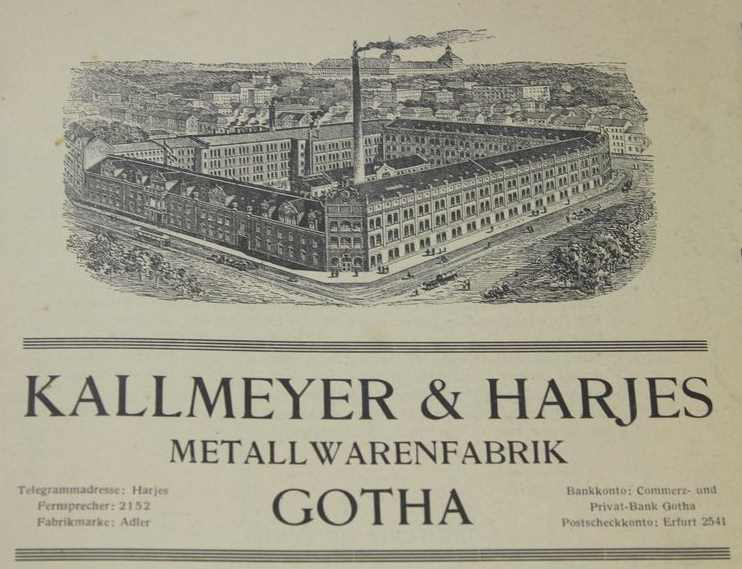 The firm was established in Gotha (Germany) in 1887 by Philipp Harjes (1860-1933) and Hermann Kallmeyer. In 1890 the factory was destroyed by a fire and another building complex was erected immediately. In 1896 the complex was expanded in a new building (Waltersh�user Strasse 1). In 1899, after the death of Kallmeyer, Harjes became unique proprietor. 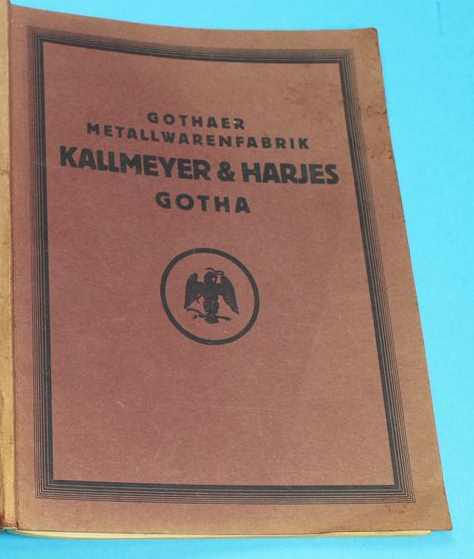 Kallmeyer & Harjes was one of the most important Gotha companies in the metalworking industry. 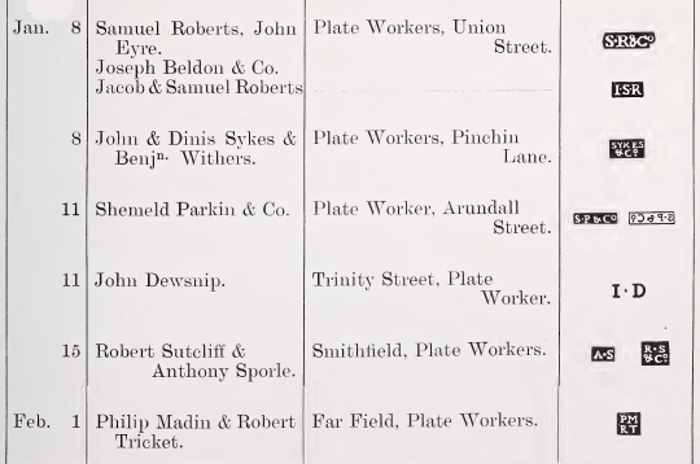 From 1890 to 1896 the number of employees rose from 150 to 300 reaching about 500 workers in 1909. 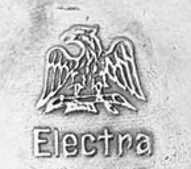 Some years before Harjes' death the property passed into other hands and the firm went in bankrupt in 1938/1939. 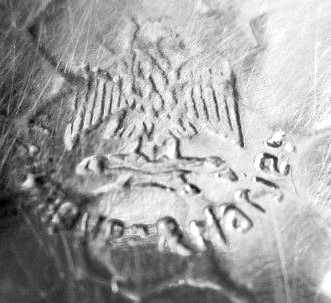 The trade mark of the firm was an eagle with spread wings in various combinations (also with a snake in the beak). 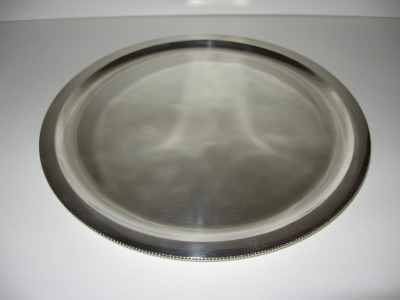 A circular, elliptical or hexagonal band used to enclose a rolled table napkin and identify the user of the napkin. Such rings are variously decorated and sometimes bear the engraved name, initials or monogram of the user. Silver napkin rings were created in different styles and techniques including bright cut, niello and enamel (cloisonn�, champlev�, plique � jour). 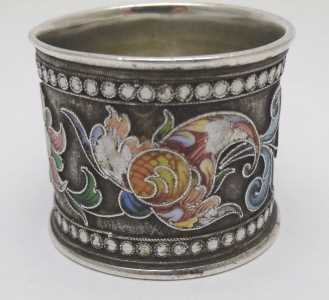 Napkin rings are a European invention and the first examples appeared in France around 1830. 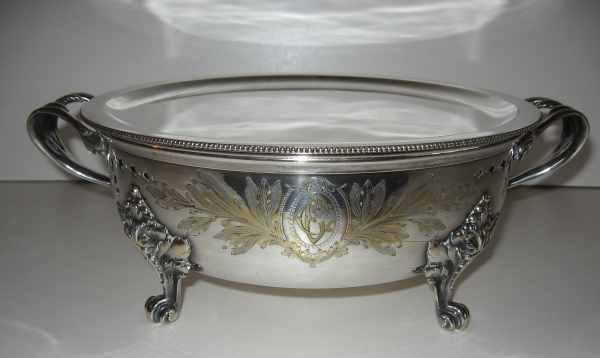 George W: Shiebler (Baltimore 1846 - New York 1920) in 1875 purchased the business of Coles & Reynolds, manufacturers of silver spoons and in 1876 began the activity under his own name employing a work force of five men. 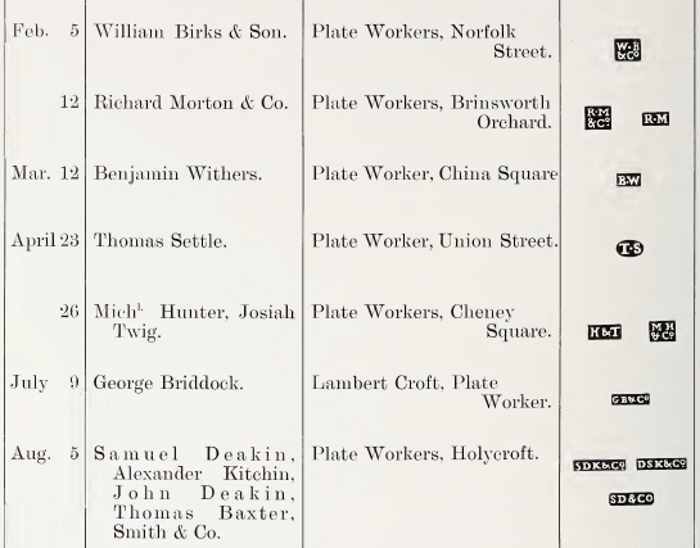 In 1883 he purchased the factory of Morgan Morgans, merging this plant with his others. After the acquisition of flatware dies of A & W Wood, Henry Hebbard, Hebbard & Pothamus and Theodore Evans & Co he moved the factory to Brooklyn. 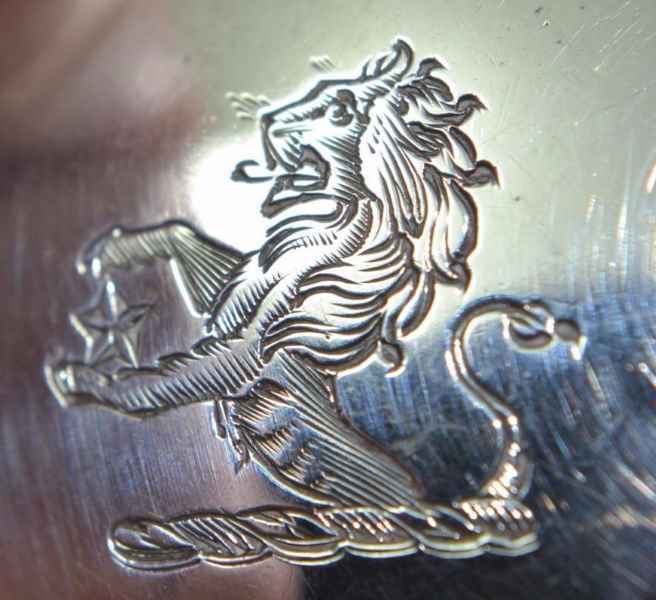 In the beginning Shiebler made only spoons and forks but its line was gradually expanded to a largest line of silverware. Closing our October 2017 edition of ASCAS Newsletter I hope you have appreciated its content. My thanks to Andrew J. Brasch, Warren Danos, Larry Elmquist, Robert Merritt, and David N. Nikogosyan for their precious contributions.